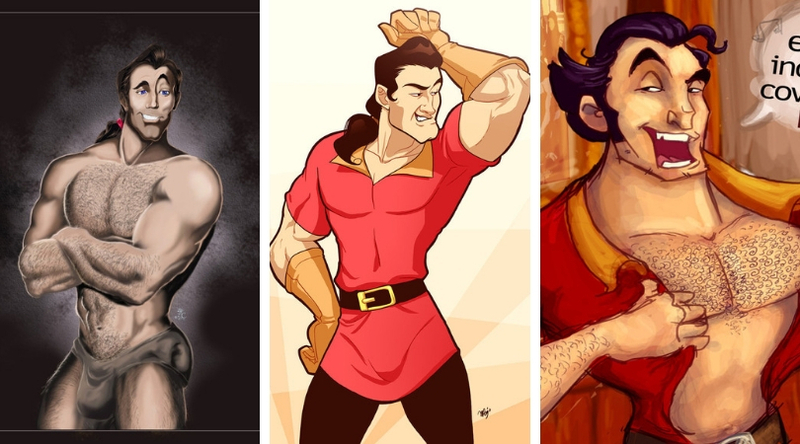 Is it crazy we’re starting our inspired workouts by drawing inspiration from Gaston of all characters!? Well, it just might be…but no one said I wasn’t crazy. Plus, Gaston’s character is one that would DEFINITELY set off the lunk alarms at Planet Fitness. If you know what I’m saying. 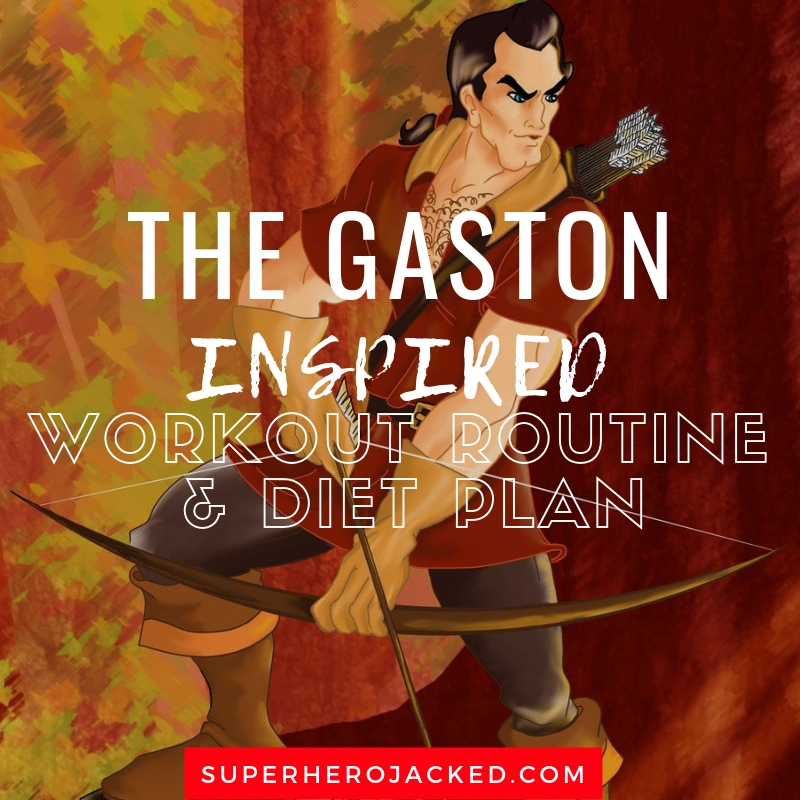 But, for the start of these articles I would like to say this: I linked to the guidelines above, but in no way is this workout and diet plan that of Gaston’s. This is simply a plan inspired by his character and I will be citing all the information I can in order to show where the inspiration is coming from. Basically, let’s have fun with it. Being that Gaston is the first, we don’t have enough Disney Inspired characters to compare him to, so I’ll be naming other characters we’ve seen below. He has a pretty wide range, so he falls right into the mix pretty well. Vegeta were tied Wolverine for the shortest spot among comic characters we’ve seen at 5’3, prior to the Teenage Mutant Ninja Turtles coming in at 5’2, (and Gimli even shorter) – but Damian Wayne (Robin) is only 5’4. Goku isn’t that tall either, though, standing only 5’7, with Miles Moralesonly an inch above him. One Punch Man falls in at 5’9 right there with Ryu, Nightwing at 5’10, and then Spider-Man, Daredevil, and Green Arrow coming in around 5’11 and Beast joining them. We’ve had Superman and Eddie Brock’s Venom at 6’3, and Captain America, Scorpion and Batman at 6’2, and Carnage at 6’1. Thor and Cyborg are towering over them at 6’6, Thanos and King right there with them at 6’7, Bane at 6’8, and Deathstroke right below at 6’5, and Black Manta at 6’4. And, of course, Hulk and Broly are both up there with them, and sometimes even portrayed much taller. If you’ve seen Beauty and The Beast you know that Gaston eats a ton to add that muscle on. He definitely gets his protein in. Gaston is the local hero of a small French village at an unknown point in French history. He owns a large tavern where he and the villagers drink and talk. Inside, there is a large portrait of himself along with “trophies” from his hunt consisting mostly of animal antlers. He also says he eats five dozen eggs every morning to help make him “roughly the size of a barge” (even though he earlier mentions to Belle that he would have his latest kills roast over the fire). So beer, eggs, and meat. You guys all know the scene of him juggling the eggs…c’mon! The man definitely can eat. 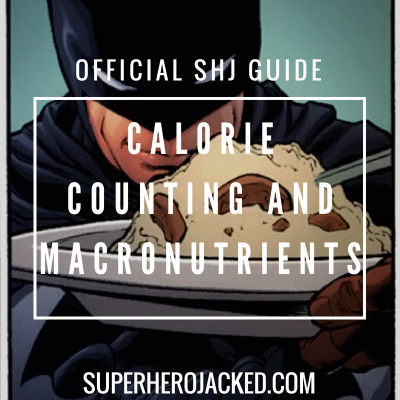 And he’s definitely burning through those calories somehow. I think we’ve already decided Gaston is a “manly man”. He’s the type of guy who would need to lift THE MOST weight possible and grunt the whole dang time while doing it. You know, to make sure everyone knew he was lifting. So we can’t forget that he enjoys hunting, and from what we know he’s actually pretty good at it. This will be where we get most of the activity that’s not lifting: practicing archery, shooting, and hunting. Oh, and let’s not forget horseback riding. Although he’d probably have a really fast car that goes “VROOM VROOM!! !” loud enough for every one to hear. Ah, but that’s besides the point. 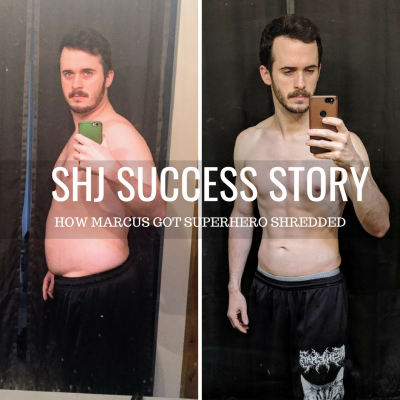 I think it best that his training comes from a kind of “powerbuilding” routine. We actually just got an official Powerbuilding Path inside The Academy, but I will also program you a variation for Gaston as well. Powerbuilding is the combination of powerlifting (wanting to lift heavy compounds and focus on strength) and bodybuilding (still wanting to train for aesthetics). Gaston wouldn’t be worried about over training or recovery. The only thing that would stop him from going to the gym and lifting heavy weights is if he had a full day hunt going on. For that reason I’m going to be programming you a 4 day split consisting of all the heavy compound lifts and accessory work to go with it, and then at the end Gaston would simply rinse and repeat. The weekly volume would no longer matter. Gaston would definitely use pyramid training and work his way up to heavy lifts that make him look the strongest. He also would really focus on his compound lifts and likely shoot for a new personal record every single time he worked out. 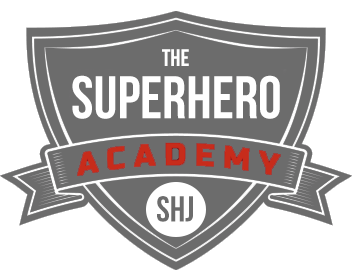 I will also be including a small section to remind you of the hunting, horseback riding and archery practice. This will be considered “activity days”. 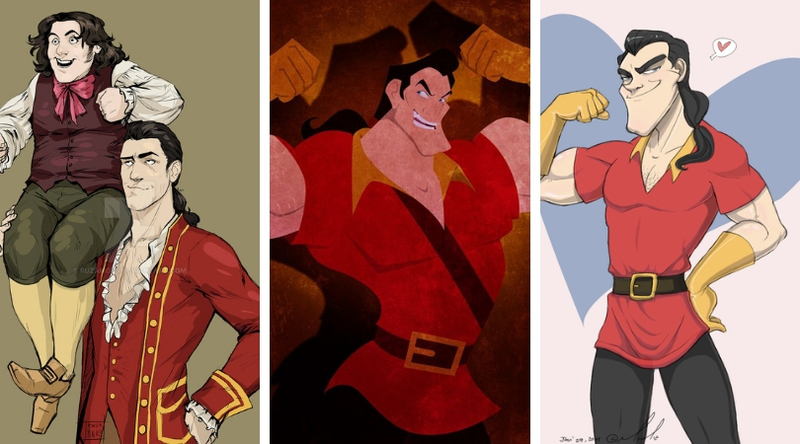 You can obviously add in cardio or other forms of sports if you’re not going to be going full Gaston mode. Gaston probably wouldn’t warm up, but you should. 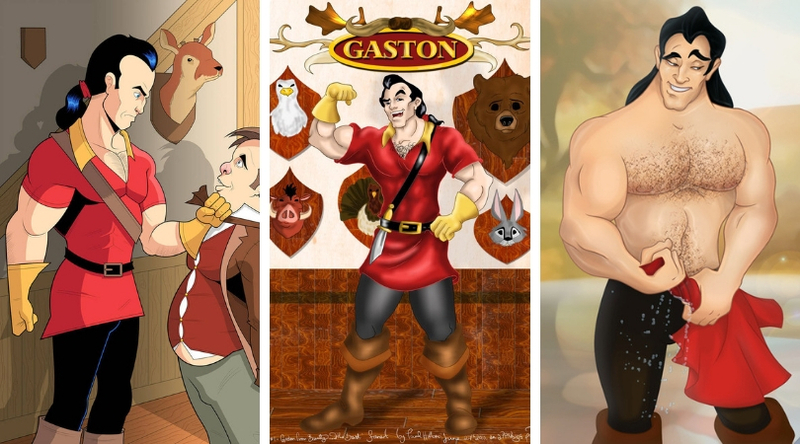 Don’t forget that Gaston would always be on top of his game. He would be constantly practicing even though he’s already the best. Devote some days to archery practice or shooting practice or get out there and hunt! If you’re not trying to really, truly become Gaston, it’s okay to add in some fun sports or other activities as well. Think of hiking, biking, or any other sports you may like.